Chiquito Have A NEW TRIAL Gluten-free Menu and here’s what to expect. My dedicated followers, and loved ones know how important Chiquito is to me, I love it. Mexican food is one thing I love (and probably rely on when eating out as most of it is usually gf). But now they have bought out a brand new trial menu, which they have in both muggle, and gluten free, so don’t feel so victimised by it like I did! 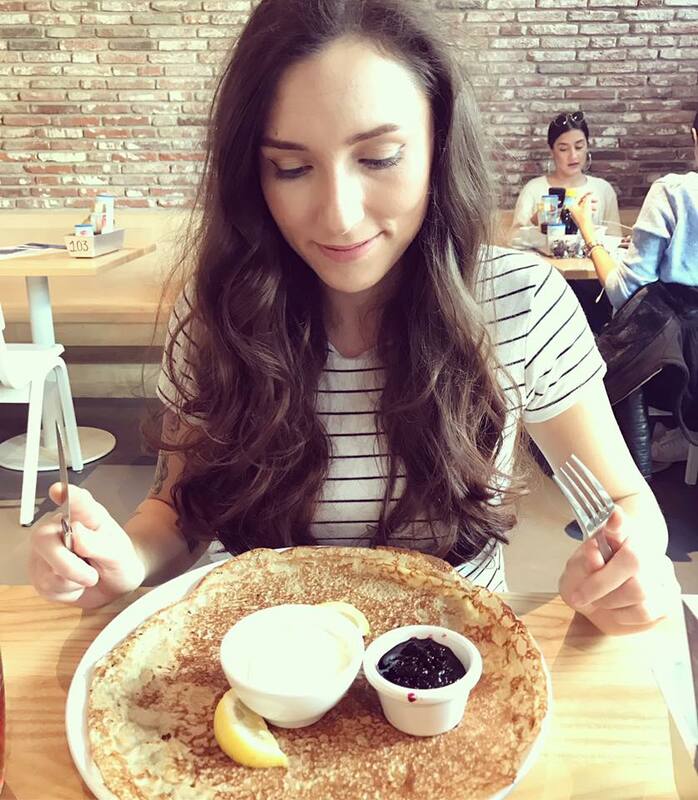 I JUMPED at the chance to try their new Coeliac UK Accredited menu back in February, when it launched, you can check how much I loved it HERE. I love Chiquito because it’s always a fun place to eat, staff are friendly AND I’m a really fussy eater (Also, please bear this in mind when reading the rest of this. So with the new accreditation, I was surprised to see that they ALREADY changed the menu to this trial one. Not only this, the popcorn that they serve on arrival was changed to tortilla chips and salsa, which aren’t gluten free, and their twitter team responded with “We like to try new things” when I asked if this was a new thing. But always ask your server if they hand you something you’re not sure of. Don’t be afraid to mention you have Coeliac Disease. Now, on to ordering, and a fair few favourites of mine have been taken away, like THE OLD MENU, and to say this was a trial, I’d have still liked the option of the OG coeliac accredited menu! Starters wise, the halloumi skewers and baby gem lettuce wraps have gone, making way for Habanero mushrooms, salsa potatoes and beef meatballs, which sounds promising! In the Naked Burgers category, my favourite naked hero burger has gone, I absolutely loved it to pieces. The sweet chilli jam one has gone and the double chicken cowboy seems to have gone, but the chicken and bbq pulled pork one sounds very similar. You also have a new beef, chorizo and pulled pork burger. I wish there were veggie options in the naked burgers using halloumi or something, I feel the menu is missing out on this big time, there aren’t that many veggie options on this now! The tex mex is now known as ‘grills’ and features a new chicken melt, and the rack of ribs is available in your choice of a full rack or a half rack. The Texan/Mexican ribeye steaks are just one ribeye steak, and the Peri Peri chicken is also gone from the menu. Though to be fair, if you’re going to get peri chicken, you’re going to the wrong restaurant. The fajitas have improved with both a new garlic and prawn addition, and the ultimate fajita. This has chicken, pork and steak! Both sound delicious, but I’d love to see an improvement with their gluten free tortillas, they fall apart so easily, and there is a great selection of gluten free tortillas on the market. The fish section sees all of the seabass optipns just being one plain seabass served with broccoli and potatoes, and no Mexican salmon. And another spiced coconut dish is gone, which was the spiced coconut salmon and cod. There is a new chilli and coriander salmon option though, so that’s not too bad. But it sounds similar to the Mexican salmon, just with a new name. With the salads, all of the previous options gone, making way for a crunchy quinoa salad, a steak salad, and a new mango and avocado salad. The new menu also sees the sides reduced to only 5 options, with halloumi, corn on the cob, roasted veg GONE. It sounds like they’ve removed anything that’s grilled from these. And for the dessert options, the zesty fruit medley has gone, hooray for restaraunts realising fruit salads isn’t a proper dessert. All remaining OG options are still there, that means I don’t have to worry about my favourite ones, the crumble and brownie. I don’t know what to feel about the menu, I wish there was more vegetarian options I guess, I definitely want the halloumi back. For a start, if the popcorn returned I would be grateful, if the naked hero burger was still there, I’d have loved my experience because I was literally dreaming about having it for days. You can view the trial menu online HERE and a spokesperson for them have told me that it could be indefinite. Please tweet or email them letting them know if you miss ANYTHING off the menu. What I also wish chiquito did was include gluten free options on their 2 courses for £10.95 menu, and tried to do some of their street food gluten free! I spoke to someone on their social media about this and they said there was and that they could adapt a dish, the only thing available is one starter and the rest of the mains/desserts can’t be adapted because they’re not coeliac friendly! So what do you guys think about the trial menu? Does it excite you? What are you looking forward to eating off the trial menu, and what do you miss from it? I hope they are listening to feedback on this because I really frikkin miss the hero burger. Previous Previous post: My May Favourites!